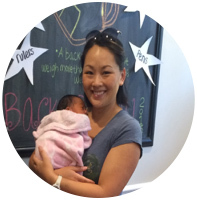 Compass Family Chiropractic receives many referrals from obstetricians and midwives in the Dunwoody area and surrounding communities to assist their patients in having the best pregnancy, delivery, and recovery possible. We specialize in helping pregnant moms with the number one complaint during pregnancy: low back pain. 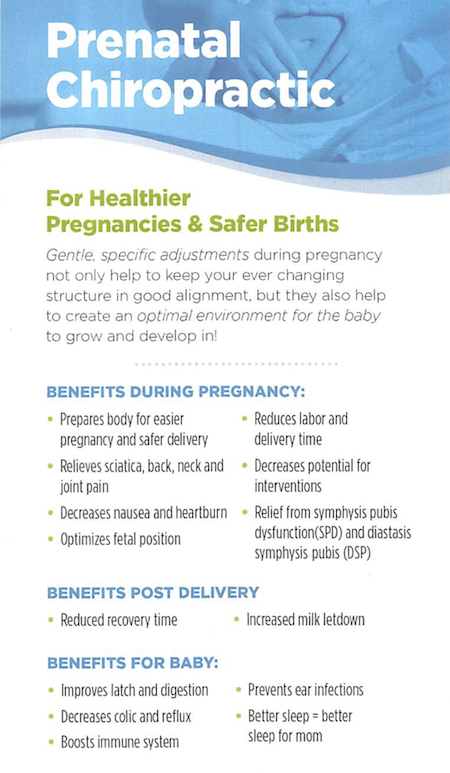 Expectant moms find that being under principled chiropractic care before, during, and after their pregnancy helps them to be more comfortable, and scientific research has shown that chiropractic care can reduce labor pains and delivery times up to 60%. Our passion is helping pregnant mothers have the best pregnancy, delivery, and recovery possible so they can experience the birth plan they are hoping to have. Studies have indicated that when the fetus is optimally aligned in the pelvis, the birth process itself is safer, shorter and far less painful. When I finally decided to see a chiropractor, I was willing to try anything to help alleviate the pain and discomfort from my pregnancy. I asked my OB’s office for a referral and they sent me to Compass Family Chiropractic. The message I got from them was that they highly recommended that their moms get adjusted during their pregnancy. Before seeing Dr. Anne-Marie, I began reading up on her bio and her work with pregnant moms and babies and also began researching the Webster method of adjustment. All of my reading started helping me understand how chiropractic care would benefit me during my pregnancy. The office was professional and very inviting. Not only did I receive a tour of the office but also a brief education on what they do and why they do it! Talking with Dr. Anne-Marie was like talking to a friend. Dr. Anne-Marie put me on a plan to get me through my pregnancy without pain and also to get me through labor and delivery easier. Well, it worked! My body was well prepared and I delivered this second child quicker and with more ease than my first. Thank you Compass Family Chiropractic! We love working with moms-to-be and accompanying them on their journey through a safe and comfortable pregnancy. Our doctors are both Webster certified; you’ll be in good hands. Contact us today for a convenient appointment!